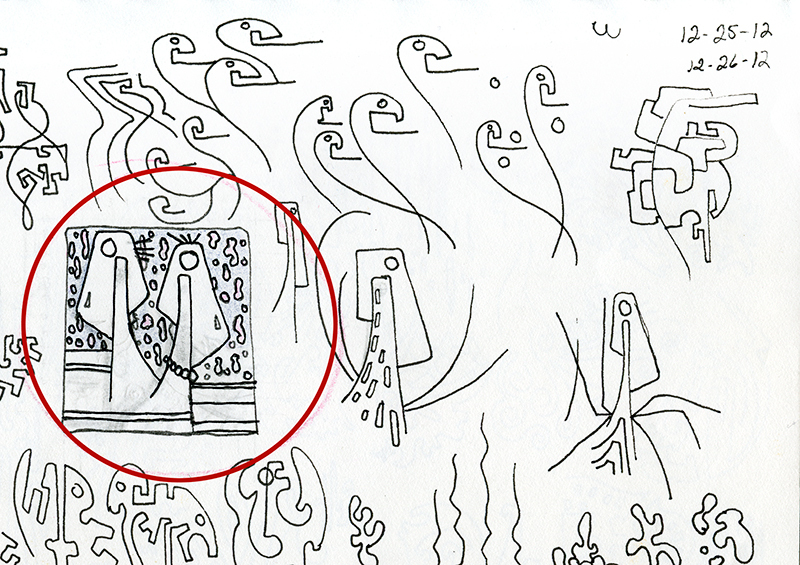 Posted is ‘The Doodle’, from December 2012. This circled ‘Doodle’ is the end result from the three similar ones to the right. As interested as I was in developing a painting from this ‘doodle’, recurring glances over the years always produced a stumbling block as to how I wanted to make the heads work/pivot on the extension coming up from the neck. Including this ‘doodle’ as part of this project forced me to resolve this issue. The solution, of course, is on next weeks worksheet post. Am looking forward to the process. Thanks for the interest Claudia. This one looks like it’s going to be very interesting ! Thanks Sherry, I think I came up with a decent solution.